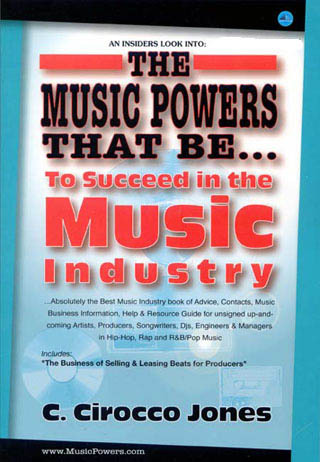 Music Powers Business and Production Advisors for the Music Powers Book and e-book: Top Hip Hop & R&B Producers, Personal Managers, Top Music Attorneys / Best Entertainmant Lawyers, Top Radio DJs, Artists, Music Publishers, Top Hip Hop Record Label A&R - CEOs, Music Consultants, Retailers, Top Mix Engineers and Vocalists. Vince Phillips, Esq. - Entertainment Attorney - clients include: Lil’ Jon & The Eastside Boys, Youngbloodz, Lil Scrappy, Trillville, Pastor Troy, KP & Enyvi & Bone Crusher. Emperor Searcy - Multi-Platinum Producer & Remixer, On-Air Radio Personality for Hot 107.9 & Radio One, Credits: Ginuwine, Lil' Jon, Trillville, Lil' Scrappy,YoungBloodz, 112. Entertainment Attorney Representing more than 50 Superstar Artists and many of the World’s Best-Known Producers, Record Labels and Fortune 500 companies. The Future of Music Coalition is a not-for-profit collaboration between members of the music, technology, public policy and intellectual property law communities. World-Class Audio Engineer and Owner of one of the finest recording / mix facilities in the United States. Entertainment Attorney - Intellectual property, Entertainment and Internet-related litigation. Entertainment Attorney, Intellectual property, Entertainment Law - Clients include Grammy-award winning recording artists and record producers, managers, celebrities and sports figures. Andrews took on the responsibility of Personal Manager and built the foundation of Flyte Tyme Productions-now a multi-million dollar business for the song writing/producing duo known as Jimmy Jam and Terry Lewis. Multi-Platinum Producer, Engineer, Composer, CEO. 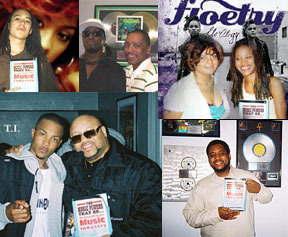 Music Credits: Johnny Gill, BET-Viacom, Michael Jackson, Motown, TLC, Quincy Jones, Artisan Pictures, PepsiCo, GM, Sega Corp.